WFYI and The Children's Museum of Indianapolis partnered to produce Wings Over Indiana, a special one-hour edition of the Emmy Award winning science series Indiana Expeditions. 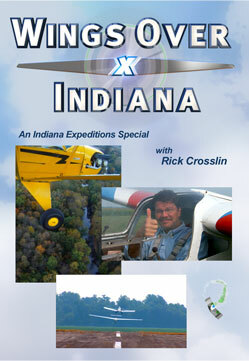 Host Rick Crosslin travels across the state, as well as to the NASA Dryden Flight Research Center in California, to look at Indiana's connections to the history and science of aviation. The show will profile astronauts and aviators, some as young as 13-years old.